Born Montevideo, Uruguay, July 22, 1976; admitted 2001, Uruguay. Montevideo Law School, Doctor at Law and Social Sciences, 2001, Center of Judicial Studies of the Supreme Court of Justice, 2005-2006. "Software Infringement: Is the Sanction Final?" Internet and Computer Law (2003) (with Viega). "The International Comparative Legal Guide to Merger Control" published by Global Legal Group and "The Public Competition Enforcement Review" published by Law Business Research. 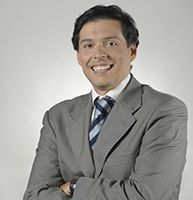 Chair, Procedural Law, Montevideo Law School, 2002-present.